What you've come to expect: more prizes and the best prize packages of any blogging contest anywhere. Just entering the contest will net you almost $200 in prizes! If you just want in and have already read the guest post guidelines, send your entry in an html or Word doc file to guestpost [at] shareselectmedia.com. MyBlogGuest.com is the community of guest bloggers who believe in the concept of high-quality and selective guest blogging. MyBlogGuest is the unique platform that manages to keep up with latest blogging trends. MyBlogGuest newest innovative features include Google Authorship for bloggers, Elite guest articles and Guest Article Requests. MaxCDN is one of the fastest CDNs in the world. A CDN makes your website fast by taking a copy of your website and delivering it from the closest servers to your website visitors. For example a user in London loading a US website will be slow, so what they do is allow that user to load the site from London, making it fast for them. Check them out at www.maxcdn.com. From Jacob: JobMob has been using MaxCDN since November 2010. Highly recommended. The winner will be chosen at random from all the contest submissions received before end-of-day Wednesday July 31st, 2013 and announced the following day on the JobMob Facebook page. 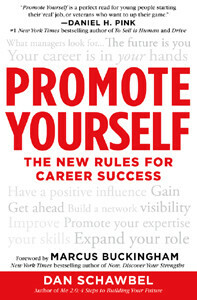 Promote Yourself: The New Rules For Career Success, written by career expert Dan Schawbel, frees you from the outdated rules for getting ahead and lays out a step-by-step process for building a successful career in an age of ever-changing technologies and economic uncertainty. By basing your personal brand on the rock-solid foundation of hard, soft, and online skills that are essential to get the job done right and by knowing exactly what managers value, Schawbel provides you with the unique skills and message that you’ll need today and for the rest of your career. This prize will go to the first entrant to break the 2500-unique visitor barrier, something that's never been done in the first 6 years of the contest. Not only is this the best prize package I've ever provided to all contestants, but this year, you'll receive Kiesha's ebooks immediately once your guest post is accepted, so their lessons can help you get better results in the contest. And if you find the ebooks directly impact your results, contact Kiesha and she might feature your success story on WeBlogBetter. Grammarly is an automated proofreader and personal grammar coach for your resume and cover letter. Furthermore, when so much is on the line, you should be proofreading all written communication with potential employers. Get a FREE 7-day trial of Grammarly and make sure those pesky errors don't cost you your dream job. Each of four lucky winners will receive an Annual Grammarly subscription; that is 365 days of error-free writing. Kiesha Easley is the owner of WeBlogBetter.com, a blog devoted to offering blogging tips. She is a writer, copy-editor, and mass communications instructor. Her latest guide is, 10 Week GamePlan for a Top 100k Blog, a book that teaches new or struggling bloggers how to take a blog from setup to Top 100k Alexa ranking blog in 10 weeks or less. Connect with her on Twitter @weblogbetter and on Facebook at facebook.com/weblogbetter.com. In case of a tie, the winner is the writer of the guest post with the most comments/trackbacks, Facebook Likes and Twitter retweets (in that order), so encourage your friends to link to your post and share it as well. Additional prizes will be announced over the coming weeks. If you’d like to sponsor the contest, please follow these instructions. DesignCrowd gives you access to a ‘virtual team' of over 130,000 designers from around the world (via a process called crowdsourcing) – helping you to tap into the very best international design talent available, at a low cost. Post a project on DesignCrowd and watch designs pour in from around the world (the average project receives 50+ designs). Want to make a good impression? Get a custom design from DesignCrowd! Watch this short video on how DesignCrowd works. Full details on what this even means will be announced here on JobMob by August 4th, 2013, but you'll start to see the game widgets on the site when the first guest post goes live on Thursday August 1st, and that's when you'll be able to start earning points and badges for this ‘contest within a contest'. Write a new blog post for JobMob on a topic related to job search, personal branding or freelancing. Follow our guest post guidelines, which also explain how to submit your entry. Like the JobMob Facebook Page to be notified of Contest Rankings updates, winner announcements and other contest news. There is NO DEADLINE for submissions but there are only a limited number of blogging slots available, so ACT FAST to be included. They will go quicker than you think, especially this year. 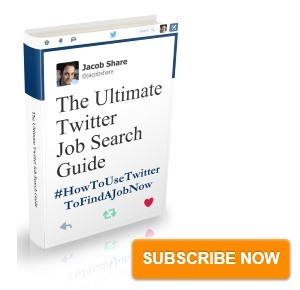 Watch the JobMob sidebar to see how many spots are still available. The official contest hashtag for Twitter and Facebook is #7JGBC. Please use it whenever discussing the contest. There are no reservations. The only way to claim one of the 25 spots is to send in a guest post. Once your contest submission is published on JobMob, you will need to blog about it during your competition period and include a 1-line message from 2-3 of our sponsors above, who made this contest possible. This will help you get more traffic and it's required for your guest post to count in the competition. This means you need to have your own blog or a blog you contribute to regularly. Don't publish your guest post on your own blog, before or after it appears on JobMob, or even republish your entry on another blog before the contest is over. You may do so after the contest as long as you credit your entry on JobMob by linking back to it. Buying traffic or social media shares will lead to disqualification from the contest. September 17th 2013 October 10th 2013 – the last possible day that a guest post will appear on JobMob, and the Contest Rankings page will no longer be updated until the end of the contest. September 24th 2013 October 17th 2013 October 22nd 2013 – the last possible day to earn points for the game leaderboard. Don't forget the early bird prize, so get your entry in as soon as possible! 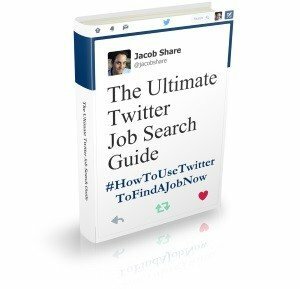 Subscribe to JobMob via RSS or emailand follow me on Twitter for the biggest, baddest contests about job search tips and advice. I tried to share this with some friends via linked in, but I don’t think it worked. Wait a second! I just read this more closely. It’s September 26th…does that mean the contest within a contest ended 2 days ago? Kate- the LinkedIn button here is standard, so if the share didn’t go through, it’s something on LinkedIn’s side. I updated the contest calendar here a few days ago, so if you refresh your page (Ctrl+F5), you’ll see the new dates. Thanks for the updates Jacob. I’ve tweeted them around. It looks like this will be a tough competition right up into the very end. Good luck to everyone. I’m hoping you and my friend Michel Neray will have a lot in common and make good things happen. He’s working on his entry now! I’m using twitter contacts to try and recruit another 8 people to write posts. This is a good opportunity for writers to get exposure. I’ve been working really hard to recruit writers for this contest, but so far only one has taken me up on the challenge.